“Fishing is more than fish; it is the vitalizing lure to outdoor life,” remarked Herbert Hoover, the 31st American president. These lines clearly reflect the importance of fishing as an outdoor activity that can lighten up your weekends. The beautiful resorts in a lush, green environment help you get cozy with nature when you opt for Grand Lake lodging in Oklahoma. Places like Monkey Island RV Resort offer an array of activities that let you break up the day-to-day monotony of life and work so that you not just stay at the resort, but you enjoy the stay to the fullest. Weekends bring along priceless moments to spend with family and friends. You are rewarded for the hard work and patience that you showcased for the whole long week when your excitement soars high toward the weekend. It is therefore important to spend these moments wisely on equally worthwhile activities. Fishing is a great outdoor activity popular among people belonging to all age groups. The world is full of anxiety, stress and tension. Weekends can be very helpful in relieving all the negativities and hassles of life. 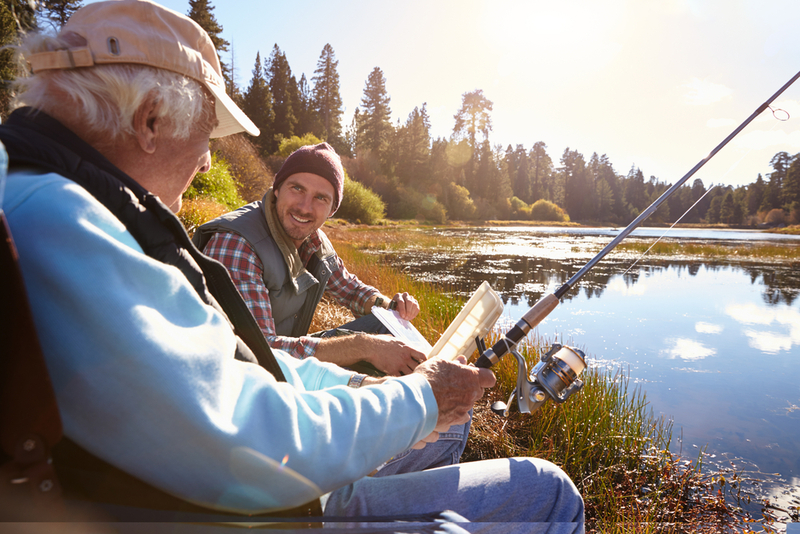 Choosing to go fishing either alone or with someone you love can be a great way to relax and chill out on weekends. Grand Lake lodging in Oklahoma provides awesome opportunities to spend your weekend fishing around in the waters of Grand Lake. This on one hand strengthens social bonding, while on the other, it helps you feel the bliss of nature viewed from a different perspective. Fishing as an activity for relaxed weekends is always great. This is due to the fact that fishing is packed with a lot of health benefits. Fishing revives you mentally and is a nice means of recreation. The early people took to fishing as a solution for hunger, but even today, in spite of the growth of civilization at a much faster pace, fishing has not lost its glory and charm. People from every nook and cranny of the world cherish fishing as a wonderful hobby and enjoy cultivating it at least during vacations. When you opt for Grand lake lodging in Oklahoma, you are offered splendid opportunities for fishing that keep you well entertained so that you not just rejoice the beautiful landscape but celebrate the joy of the weekend as well. Travelers around the world crave fun and enjoyment whenever they visit any destination. The Grand Lake region of Oklahoma is situated in the northeastern part of the state, and nature lovers who visit the place find the lake suitable for water sports, especially fishing. There are special resorts that offer Grand Lake lodging in Oklahoma and serve you with everything you need so that you and your family can feel the real fun of catching fish on your own. Moreover, these resorts encourage environmentalists’ approach to conserving fish and promoting awareness among people. Catch-and-release fishing no doubt is a great way to do your bit for saving the environment so that it no more remains just an activity but becomes the most popular means of recreating the magic on weekends.